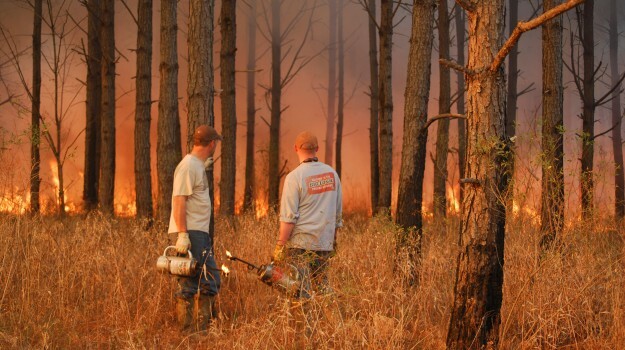 One of our primary responsibilities as a GameKeeper is to be conservationist and good wildlife managers. One of the most satisfying aspects in game management is maintaining a healthy crop of turkeys to hunt every year or bringing back a wild turkey population in an area where they have struggled in the past. A simple mistake we see made every year that can have a negative impact on your turkey numbers is the good old bush hog. 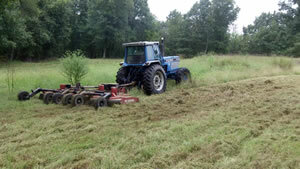 After being on your property during the spring, you begin to see a lot of things you would like to mow and keep cut back. Remember that those hens have nests hidden all over the place and many times they are in those grown up areas we are dying to get the tractor to and mow them down. Even routine maintenance on clover fields in the spring leads to a lot of turkey nest being destroyed. If you have chores to do on your property this spring, take the time to walk the areas out thoroughly and scout for any hidden turkey nests. Although food plots are usually not the preferred place a hen will lay her eggs, it is not uncommon for them to use a spring food plot that has some good cover height to it. Incubation time for the eggs is 28 days and each nest generally has 8-12 eggs. Only about half of all turkey nests are successfully hatched. 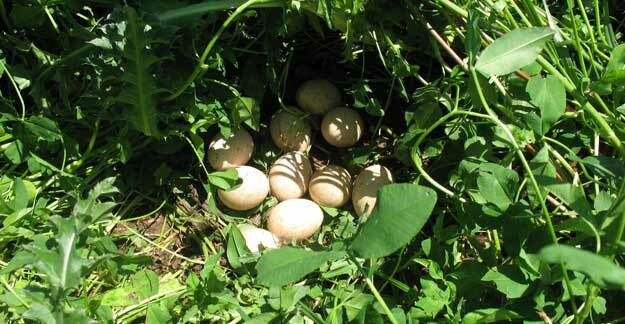 More than 70% of poult mortality occurs in the first 14 days after hatching. Mammalian nest predators such as raccoons, skunks, possums, etc are responsible for 90% of nest predation. Poults are following the hen within 24 hrs of hatching. 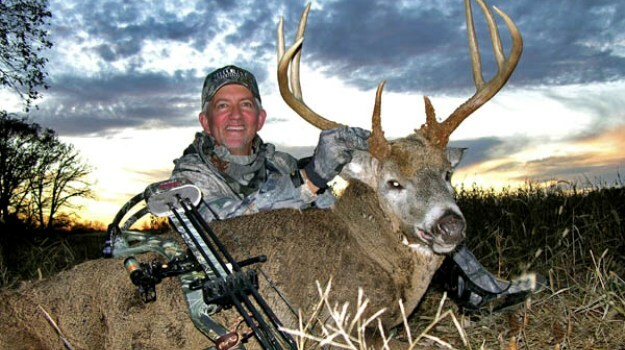 You can subscribe to the Wildlife Obsession weekly newsletter tip by clicking this link. The shot is what must be improved in order to make sure those sad days become triumphant. Knowing the firearm, practicing on the range, picking the right ammo and choke tube combination - all of this must be done in order to know how your shotgun patterns to have a successful turkey hunt.